This Frederic Chopin biography looks at the composer's fascinating life. Frederick was a musical genius, with a happy-go-lucky personality. His short but exciting life was filled with grand successes, sweeping disasters, lots of Countesses, and a final destructive illness. 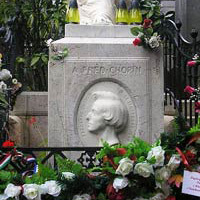 Frederic Chopin was born in Poland in 1810. His parents were amateur musicians, and taught their children all about music. Little Frederic was a child prodigy - he was better than his piano teacher after only a few years of lessons! He gave his first performance at just short of eight years old. At this concert, he wore a new jacket with a white collar. When he finished playing, the audience clapped heartily. Chopin proudly proclaimed to his mother that the applause was because they liked his new collar! He was a talented child in general, with a large imagination. He was good at improvising - everything from stories to music. He was a talented writer as well. He was always jolly, and loved practical jokes. He was also a good mimic. Lots of people later in his life thought he would make a good actor. When visiting Vienna as a young man, he was persuaded to give a performance. He played a piece of his own, and improvised a bit as well. The audience loved it, and so did the press (even if they though his playing was a bit lightweight!). With this leg-up into Western Europe, Chopin returned to Vienna in 1830. But they didn't like him as much the second time, so he traveled around a bit, visiting Munich and London. He thought about going back to Poland, but the suppression of the Polish Uprising against the Russian Empire and following vicious prosecution of Poles by occupying forces made him change his mind. He stayed in Paris. His beloved homeland was lost. Chopin settled in Paris. There, he made friends with the social and artistic elite of the city, including famous musicians like Franz Liszt. 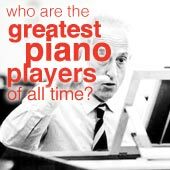 Click to read about Franz Liszt and listen to his popular pieces. He performed a few times in public in 1832, and was a big hit. His reputation grew meteorically. Before long Frederic Chopin was a celebrity in the French capital, with a big list of wealthy students to teach. Not bad! He preferred to play in salons or his own apartment, since he thought his playing style was more suited to small spaces. You can kind of see this from his compositions - a lot of them sound out of place in a big concert hall (in my opinion anyway). From then on his life would be filled with a vast collection of interesting characters, from authors Victor Hugo and Heinrich Heine to a small army of princesses and countesses! But since Chopin was constantly ill, he didn't get to tour around much. He stayed in Paris most of the time. What a shame that other cities and countries didn't get to see him perform! Apparently he performed less than 30 times in public in Paris over his whole life. This is amazing when you consider the huge reputation this small number of performances gave him! Click to explore Chopin's greatest music. 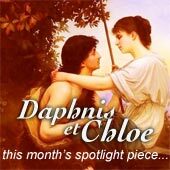 When he was 26, Frederic Chopin met the feminist author George Sand (her pen-name). Sand was a bit of a radical. She wore mens clothes and was fond of smoking cigars. Chopin didn't like her at first, but after a while the two became lovers. The pair went to the Mediterranean island of Majorca, to try to improve Chopin's health. Frederic loved the Spanish lifestyle in Palma, but the rest of the trip was a disaster. The winter was savage, the highly religious locals didn't like that Chopin and Sand were staying together but not married, and it took Chopin ages to get his favorite piano past customs. Still, Chopin managed to be productive on his little island adventure, writing several new compositions. Chopin's life during the first half of the 1840s was merry. He had a good relationship with Sand, and used to visit her estate Nohant in summer. There he had many fun times with his friends. But towards the end of the 1840s, Chopin's life was on a downturn. He had split up with George Sand, he was getting much much sicker, and he was less popular with the public. He visited England and Scotland a year before his death, to perform for aristocrats and to avoid the Revolution that was happening in Paris. The audience at a concert in Glasgow was only a third full, and a fair amount of those were Chopin's own friends. His quiet drawing room playing style combined with his failing health meant that he couldn't command attention well. A sad change. His stay in England wasn't a total disaster. In the end, he was recognized for his talent and developed the right connections. At that time he was on his last legs, so no wonder he didn't like the attention he got from the rich and famous! He left Britain (he hated the weather and wasn't that fond of the locals) and went back to Paris. He lived there with the financial help of Prince Adam Czartoryskhe (also a Polish émigré and a very influential diplomat and a philanthropist), and the Scottish Lady Jane Sterling, an old pupil. At one point in Paris, he got visits from three doctors. He later wrote that the first doctor said he was going to die, the second said that he was actually dying, and the third told him he was already dead! But he did die, on October 17, 1849, of tuberculosis. He was thirty nine. His heart was extracted and buried in Warsaw. No Chopin biography would be complete without looking at the composer's personality! Frederic Chopin was extremely proud of being Polish (even though he was only half Polish - his father was French! ), and was very patriotic. But he never quite mastered the French language, even though he lived in Paris for his whole adult life. He was reserved, and didn't want glamor and celebrity like some of his fellow virtuoso pianists. In fact, he was quite a quiet person (you could figure that out from his music), and people who met him noted that he was polite and witty. He once sent a nonsense letter to a friend in French, but written with Polish letters. The note ends "carry ammunition in your soul, but don't let anybody suspect it from your nose". What?! In fact, his letters are a great read, and very funny (you can read an incomplete collection of them here). You can see how cleverly witty and happy he was, even if outwardly he appeared aloof and sick. 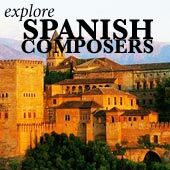 Click here to listen to and explore Chopin's music.